single titled “Ovierivie”, a song that was birthed out of a place of worship and was written through the inspiration of the holy Spirit. OVIERIVIE is a local dialect in Urhobo which means KING OF KINGS. The song is a spiritual and a transforming song that will bless you abundantly. The song is an household song because it was given by GOD to the glory of his name and the advancement of the kingdom of God. 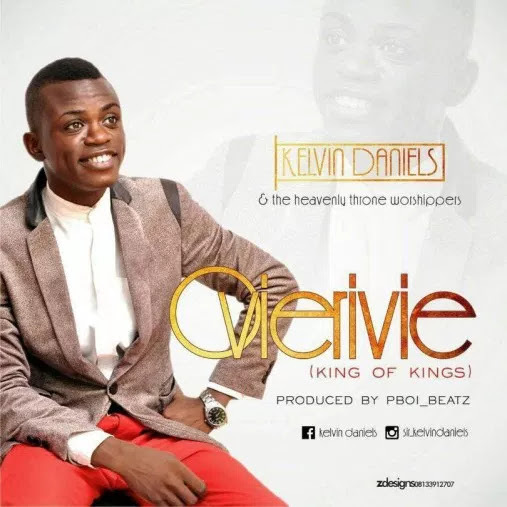 Kelvin Daniel was born in Delta state, Nigeria, a native of ogharah, Agbara, ughelli north Local government area of Delta state. He is born into the Family of MR&MRS DANIEL ABADIORU OBIUWEVBI. Kelvin developed love for music and the gospel at a very young age. One prominent singer who has always inspired him is Nathaniel Bassey, a Nigerian gospel music minister and a worshiper who has impacted his life through his music. Kelvin Daniels is a pianist and a music instructor who also belongs to a team of worship Ministers( The Heavenly Throne Worshipers). Kelvin is a music minister in the redeemed christian church of God (garden of joy model parish). His deep interest in music is not only just to sing but to impact lives through his music, this led him to be committed to the lord under the mentorship and guidance of his spiritual father PASTOR FLOURISH LIBERTY. OVIERIVIE was produced and mastered by EREDORO PROGRESS also known as PBOI BEATZ.